Did you know that the numbers of people adopting cats spike over the holidays? If you recently adopted a cat or are thinking about it, this post is for you. Today, we’re going to look at ways to make your new furry family member feel comfortable in his or her forever home. We adopted a cat last March from our local SPCA. Reggie was an 8 month old orange tabby looking for a new family. We immediately fell in love with his feisty personality. Over the past year, he’s brought us great joy, many laughs and lots of love. Cats are amazing pets! To help make your pet feel right at home, try these six simple tips. 1. Provide lots of hiding spots. Cats are notorious for sneaking off and hiding in sometimes strange places. This fact is especially true at first when the cat is trying to adapt to his or her new surroundings. Create areas for your cat hide whether it’s moving your couch away from the wall a few inches or letting the comforter on your bed go down a few more inches so it almost hits the floor. Cats will naturally gravitate to these comfy nooks and crannies for the alone time they crave. Reggie has learned to open up kitchen cupboards and will often sneak inside to hide. 2. Gather supplies before your new cat’s arrival. Before you bring home your new cat, make sure you are ready for him or her. Buy food, both wet and dry, water and food dishes and a litter box. I also bought Reggie his own bed. Don’t go overboard though. You’ll want to wait till you get to know your cat’s preferences before you fill your pantry with supplies. Get what you need and go from there! 3. Think about litter location. Cats are particular about their litters! They like privacy just like we do. Place your litter in a quiet area away from the cat’s food and water. They don’t want to use the bathroom where they eat. Line your litter box with three to four inches of Arm & Hammer Clump & Seal litter to keep your home odour free for seven days. 4. Lighten your load. If you’ve ever purchased cat litter, you’ll know how heavy that stuff is. I struggle sometimes getting it from the cart to my car. 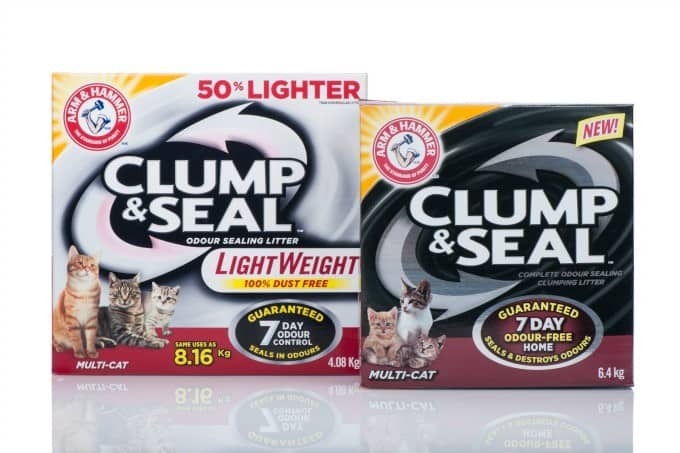 Did you know that Arm & Hammer Clump & Seal LightWeight litter has the same amount of uses as their regular clumping litter, but at half the weight? Don’t be scared to grab a few extra boxes next time you are out shopping and lessen your worry about lugging heavy cat litter around. 5. Kitty playtime. Pick up a few different types of toys for your new cat or kitten to play with. Make sure one includes a scratching post so the cat can use it to wear down his or her nails and not your furniture. Reggie loves his scratch post and batting his toy mice. 6. Spend time with your new pet. Carve out a bit of time in your schedule to spend quality time with your cat. It doesn’t have to be for long periods. You can interact with them by playing with them, sitting with them while you read or watch TV or by simply petting them. 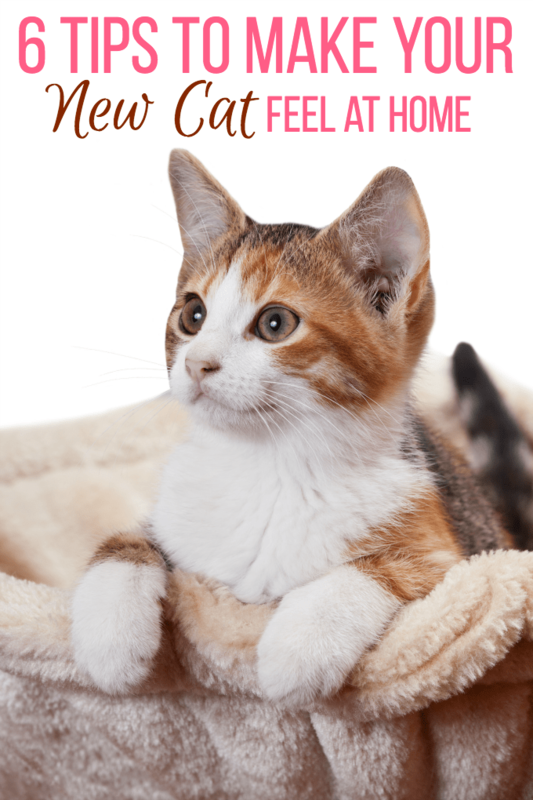 You might also like this post about kitten supplies. I absolutely love cats. We have a large family of rescues. They make my heart smile. Great tips! I don’t think our two cats would accept another into the household! They are grumpy!